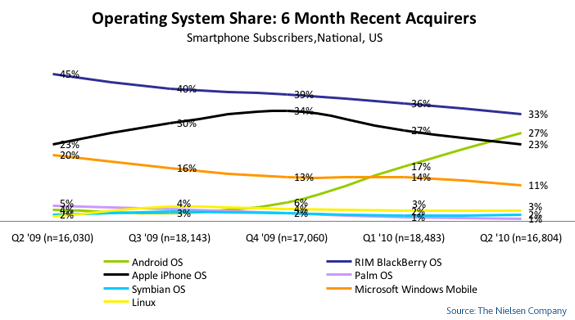 With Android‘s approach of spreading their OS to as many phones as possible across as many carriers as possible, they have now jumped passed the i*hone in quarterly sales for the first time. Apparently selling over a million units during its opening weekend at the end of Q2 wasn’t enough for Apple to hold an edge over our little green robotic friend. We Knew Mobile Hotspot Would Be Left Out, But No Tethering for the DROID?